The web development tricks and techniques change regularly with many new techniques, software and styles being added regularly. Besides which there are several factors that affect the direction in which the future web development will be focused on. With so many changes and developments happening on a daily basis one wonders how to keep up. The news will provide you will the topics however the inner details and finer topics or secrets of trade will not be common knowledge. 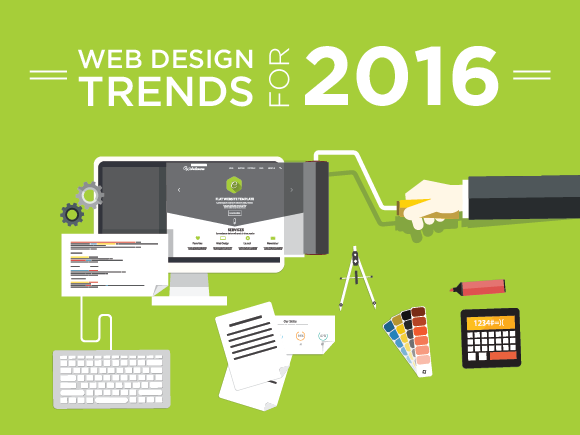 The changes in Web Development techniques become more relevant and obvious as we 2016 draws closer and the new techniques and trends become more popular, strong and visible. With more number of browsers implementing the preconnect feature of a HTML link tag it is now necessary to be aware of the true purpose of the tag and how it can be used to improve the performance of your website. Although the official release of PHP7 is sometime away, the beta version are already available in several formats and web servers. It is thus possible to check the performance and effectiveness of the new version. From initial tests and trials the new version, PHP 7 does appear to be a big boost in performance overall. Website designs that can think for themselves is a new concept for a clever website design interface which is also worth some research and attention. It is important to be able to develop a website using a framework. There are several frameworks available with plenty of new feature and techniques to make your website more efficient. However it is important to be aware of the programming language itself (like PHP) prior to using a framework of any kind. The need for security and privacy cannot be stressed enough these days. Thus it pays to implement SSL: and force the use of the HTTPS certificate. There are several techniques to make sure your website remains safe and secure one of them being the ability to set up a TLS certificate on a localhost of your very own machine. As the level of competition increases in the quest to develop the best website, it is important to have the upper edge. This is possible by having a knowledge of the other factors surrounding the website like DNS. Facebook has a very innovative method of preloading the images and increasing the efficiency of the website as well as the loading time’; not to mention creating an better web browsing experience. For those of you who haven’t realized what I am referring to, it is the fact when the Facebook page load, you will notice that the images are instantly visible. These are not the complete images but a simple preview of the image that helps understand what the image is about and how the content relates to it. This helps the improve the loading time and also makes for a better user experience. The images are preloaded with the first 200bytes to start with and later loaded fully once the entire page is loaded. Imagine being able to construct a CSS quality query on the fly. This is a feature that can solve several development hitches and save a lot of time. There are several tools available to implement this feature. There are several basic CSS elements that many of use and implement without thinking twice of how it works. It is possible to put the CSS elements to more efficient use by simply understanding how it works. The CSS element ‘float’ is one such element. All most all of us have a certain level of creativity and intuitiveness to try and test new features and implement existing element in a new method or even experiment with something new. It is a healthy approach to make sure you stick to the development method and provide the client with exactly what his requires are. However it doing so it is also necessary not to lose your level of creativity or innovation that would otherwise flow quite freely. Since it is these qualities that can give you the edge and help remain competitive. Alakmalak is one company that has been in existence since a very long time and since then has completed more than 2000 projects successfully. It has clients from all around the world with a continuously growing client base. By trusting Alakmalak with the development of your website you can rest assured that you are in safe hands. Social Media and Web Design – How are they related? How to Edit Product Prices Through the External .CSV File?